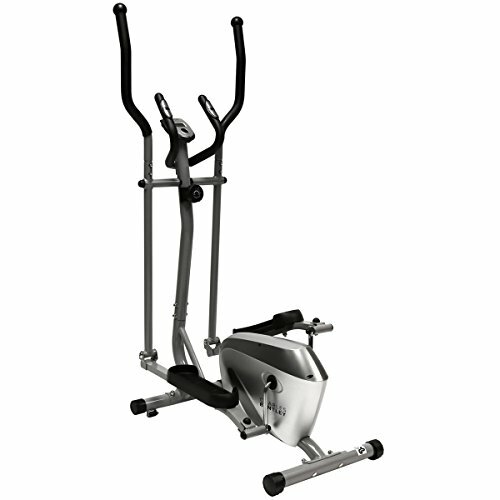 The FIT4HOME Olympic 11 Cross Trainer Bike is a multifunctional fitness machine that can fit any budget. With just a single equipment, you’ll already get an exercise bike and a cross trainer which is a convenient addition to your home gym. It won’t only save a lot of space, but also your money from buying two separate machines. 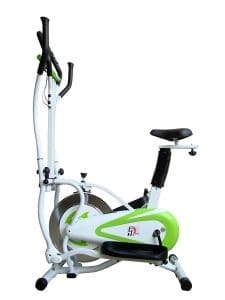 This cross trainer bike will provide you with a low-impact workout for both the upper and lower body while improving your cardiovascular endurance. If you want to know more about this fitness machine, look no further because you came to the right place! FIT4Home is a UK brand that has already built a strong reputation for providing a large variety of quality items at the most competitive prices. Their FIT4HOME Olympic 11 Cross Trainer Bike is made of a tubular steel frame which allows you to workout confidently for a long time. It’s exceptionally sturdy with a maximum user weight of 250 pounds so various people can use it. 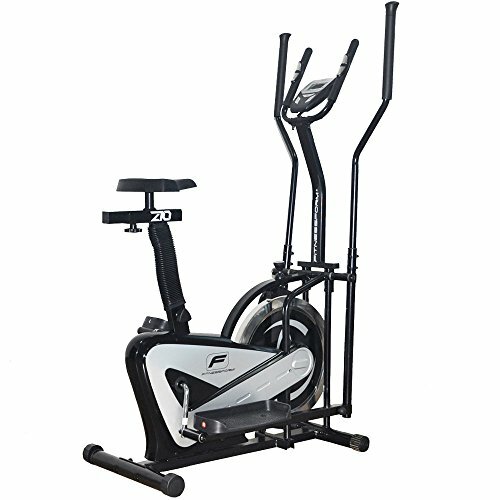 Using this cross trainer bike is an effective cardio workout because it simulates stair climbing, walking and running without causing excessive pressure to the joints, hence reducing the risk of impact injuries. A heavy flywheel doesn’t only make your workout more intense, but it also adds stability to the equipment. 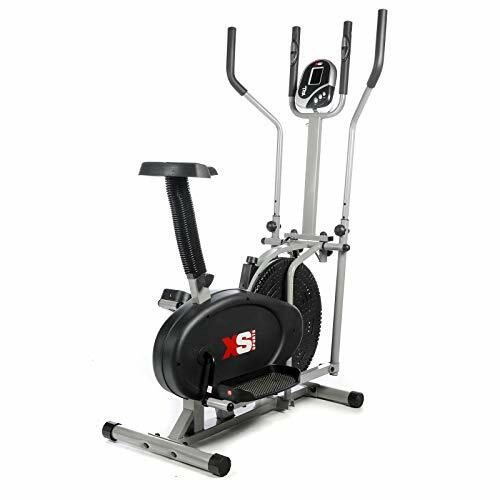 The FIT4HOME Olympic 11 Cross Trainer Bike your with a 6kg flywheel that provides an intense workout for novice users and intermediate users. It also comes with an adjustable resistance system to suit your fitness level and challenge you to improve as well. This cross trainer bike works in smooth and silent motion making it perfect for home use, even if you’re living on the upper floor of a flat. The FIT4HOME Olympic 11 Cross Trainer Bike has a wide saddle that keeps you comfortable so you can have long workout sessions. 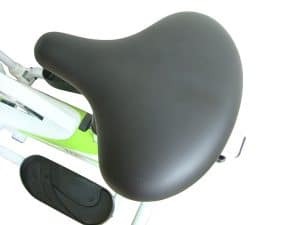 It can be adjusted vertically to match your height and allows you to make full motions, and it can also be adjusted horizontally for more comfortable reach to the handlebars and the monitor. The stride bars are also adjustable to make sure you’ll get an upper body sculpting while simultaneously training your lower muscles. This cross trainer bike hadn’t with extra wide platform pedals that can accommodate various foot sizes so everyone in the family can maximise the use of the equipment. At a budget-friendly price, the FIT4HOME Olympic 11 Cross Trainer Bike already comes with built-in pulse sensors which makes it a bargain especially now that it’s on sale (at the time of writing). Pulse sensors are essential for any fitness equipment as they help you closely monitor your heart rate to make sure your efforts are being paid-off. To determine your actual progress, you can monitor your stats on the hi-tech digital computer monitor which shows you speed, distance, time, calories and pulse. After using the equipment, you can easily move it to the storage room with the help of its embedded transport wheels. 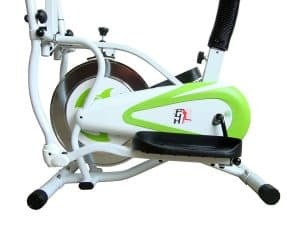 If you have been using an exercise bike and a cross trainer at the gym for quite some time, you may not be able to find the FIT4HOME Olympic 11 Cross Trainer Bike challenging enough for your fitness level. However, it’s an excellent choice for beginners and seniors who are seeking to get a low-impact workout for the whole body. It’s also a better option if you’re not a fan of running on treadmills because studies have found that both of these fitness machines could burn the same amount of calories in our body. The Fitnessform ZGT Z10 Cross Trainer Bike is also an affordable multifunctional fitness machine that’s great for home use. 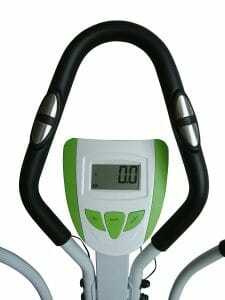 This hybrid fitness machine is claimed to be carefully engineered and tested for effectiveness and durability by some of the UK’s leading trainers, doctors and athletes. It’s lightweight and compact, but it can hold users with a weight of up to 110kg, so it’s relatively stable. It also has integrated pulse sensors, and it features a quick dismantle function which is convenient for any user. The XS Sports Pro 2-in-1 Elliptical Cross Trainer is the bestselling product when it comes to cross trainer bikes. With a landslide of positive reviews by the people who have purchased it, it’s undoubtedly a bargain for its price. This cross trainer bike has a maximum user weight of 110kg, and it’s covered with chip-resistant paint so it will look good as new for a long time. It’s driven by a direct chain flywheel, has extra wide pedals, and has built-in pulse sensors which all contribute to an effective workout. 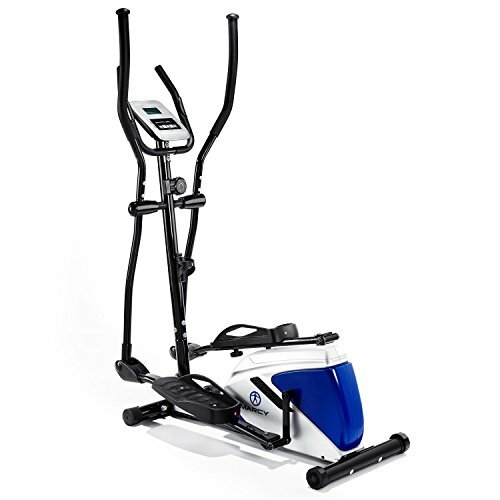 The Marcy Azure EL1016 Cross Trainer is an entry-level cross-trainer that features eight resistance levels to help you achieve your fitness goals. It has a maximum user capacity of 110kg, and it boasts a 14-inch stride which makes it suitable even for tall people to achieve full movements. This cross trainer is already built with hand pulse grips for you to easily monitor your heart rate and it comes with a water bottle holder. Working out can get boring, but with a flip-out stand for your tablet or phone, you can keep yourself entertained while simultaneously burning off the calories. If an entry-level cross trainer doesn’t suit your fitness needs, maybe this Charles Bentley Fitness Elliptical Cross Trainer could work for you. It’s integrated with a 4kg flywheel, and it has eight levels of magnetic resistance. This may sound similar to what basic cross trainers have, but the higher resistance levels on this model can be tough even for fit people. This equipment already comes with built-in hand pulse sensors so you’ll be able to keep track of you heart rate each time you exercise. The FIT4HOME Olympic 11 Cross Trainer Bike may not offer a lot of features, but it’s a simple machine that will provide you with a full body workout. Even if you haven’t stepped foot in a gym and held one of these machines before, you will be able to start quickly because it’s easy to use and effortless to assemble. Plus, it comes in two colours, Red and Green, so you can pick one that best suits your taste.